Weather can play a significant role in how you feel when you have a lung disease like COPD. Some weather conditions create an ideal environment for breathing, while others can make breathing difficult, even causing flare-ups. 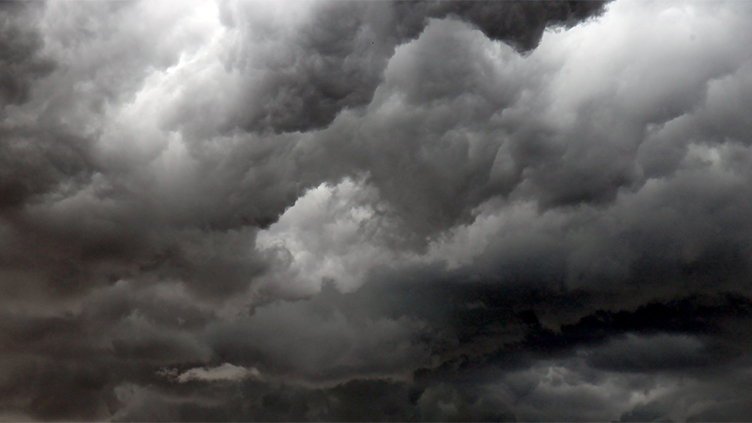 Here are seven ways weather can impact COPD and what you can do. Temperatures greater than 90°F are ideal for basking in the sun and swimming. They are not so good if you have lung disease. A John Hopkins University study showed that higher outdoor temperatures increased the severity of COPD symptoms. Researchers are not sure why this is. Staying indoors in air conditioning may be the best way to beat the heat. Speaking of air conditioning, the same study indicated that cooler temperatures may be ideal for people with COPD. In fact, keeping cool may actually have health benefits other than just breathing easier and feeling more comfortable. An ideal temperature is somewhere around 70°F. Try to keep your indoor environment cool throughout the day and night. On the flip side, temperatures less than 32°F are not good either. Cold air holds less water, making it too dry. Inhaling air with less than 10 percent humidity may dry out your mucus membranes. This makes it difficult for the membranes to produce the fluids needed to move viruses and bacteria. Dry mucus membranes also have a tendency to worsen allergy symptoms. This is significant because both lung infections and allergies are COPD triggers. If you have to go outside on cold days, wear a scarf over your mouth and nose to allow your own breath to warm and humidify the air you inhale. The ability to hold water vapor increases with temperature. So when warm air comes into contact with a water surface it evaporates water faster than cold air. This means that hot air tends to hold more water than cold air. When the humidity of air becomes greater than 50 percent it can become heavy and hard to inhale, making you feel stuffy and just making breathing more difficult. Humid air also creates nice breeding grounds for fungus and molds, and tends to hold dust mites, all of which may trigger flare-ups. Experts recommend keeping the humidity in your home between 35 and 50 percent. Air conditioners work well for this, although so too do humidifiers and dehumidifiers. Ask your doctor how many hours these devices should run to provide optimal air quality indoors. Going out in the wind may cause you to work extra hard when walking against the wind. This may cause you to become tired too quickly, making you feel--pun intended--winded. Wind may also pick up dust and pollen, both of which may trigger flare-ups. It’s best to stay indoors during windy conditions, and to keep your windows shut. Studies have linked thunderstorms to asthma attacks, meaning they probably also cause COPD flare-ups. A theory is that rain and winds cause pollen grains to rupture, creating minute particles that can be inhaled. It's best to stay indoors with the windows shut and in a controlled environment. Rapid changes in weather have been linked with worsening COPD symptoms, such as feeling short of breath. This may be due to rapid drops in barometric pressure, which may occur just prior to thunderstorms. A drop of barometric pressure decreases the oxygen carrying capacity of the air. The drop may be small, but it may be significant enough when you have COPD to make you feel like you can’t catch your breath. Bottom line. Since weather is proven to have an impact on COPD, it is best to stay indoors during extreme weather. It’s also best to have the necessary equipment--dehumidifiers, humidifiers, and air conditioners--to create an ideal environment for breathing inside your home. People with COPD should get the daily weather reports, and weekly reports so they can adjust outdoor time schedules as necessary.